London-born DJ, musician, producer & promoter Joe Carter became obsessed with music in his early years. Joe started playing the guitar at the age of ten and went into DJing at 15 years old, just as UK Garage was taking a firm hold on the music scene. In his first weeks at University, Joe won a competition to DJ at a Ministry of Sound night on the University campus. From there, he went on to play in numerous bars and clubs; playing a wide array of music including House, Garage, R&B, Drum ’n’ Bass & more. Joe has played at many UK festivals including Glastonbury, Bestival, Electric Picnic & Standon Calling to name a few. He still plays around London and the UK and promotes regular parties for lovers of Soul, Disco & Soulful House music. 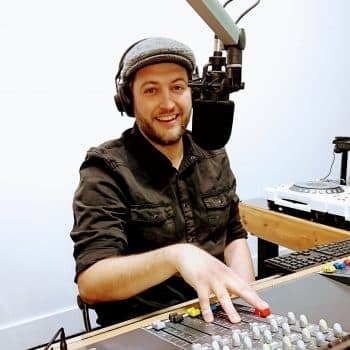 Joe’s passion for new music extends across many genres, and this is the basis of his show, The Future Sound of Mi-Soul, which you can hear at 1 am on the 3rd Thursday of every month on Mi-Soul.